The chalet offers a base for a carefree family holiday and the surrounding areas provide opportunities for relaxation and a wide range of exciting activities. There are so many things to do that we can only describe a few here on the website. In addition to our website, there is a folder in the chalet full of information. 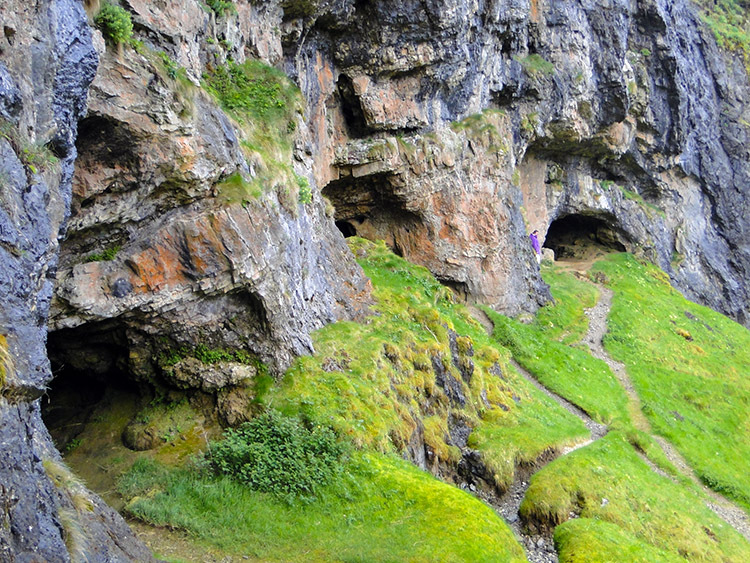 A trip to the 'Bone Caves' near Inchnadamph is quite spectacular. The caves, which were once the home of early man, are set in the mountain side and have been the site of various archaeological finds over the years including bones from deer, wolves, bear, etc. which will give you an idea of how old they are. It's well worth the trek of about 2 miles up the valley in spectacular surroundings, crossing boulder-strewn stream beds. The view when you get up to the caves is beautiful and is a perfect place to sit and have a break. On the way to the caves, look out for the river which rises out of the ground at your feet. During the summer on the return journey, it is wonderful to take boots and socks off and dangle hot feet in the clear, cold water. Not a difficult walk by any means and the path is well defined and fairly even. Take some walking boots and a waterproof jacket and you should have no problem. For the road to the Bone Caves, drive out of Lochinver on the A837 towards Ledmore Junction and at the South Eastern end of Loch Assynt, you come to Inchnadamph. Carry on a mile or so and before you get to Stonechrubie, there is a trout farm on the left and you will see a signpost to the Bone Caves. A leaflet with more details can be found in the information folder in the chalet. There is good fishing in N.W. Sutherland. Give us a call and we can help you with arranging your sporting trips. There are a multitude of Lochs, some within easy walking distance of either Inverkirkaig or Lochinver, which have good trout fishing. Permits can be obtained from either the Post Office or estate office and they are remarkably good value as a day permit can cover you for several different waters. To stand fishing, for example, on Loch Assynt, with mountains on either side and looking out across around 1,900 acres of water is quite an experience. The outlook and scenery are magnificent and just spending the day on the bank of a loch with rod in hand, surrounded by a superb environment, is rewarding in itself - a totally fulfilling experience. Life’s cares and worries slip away and catching a fish is a bonus - truly the icing on the cake. There are several Ghillies you can contact who will arrange fishing trips for you - see the booklet in the chalet for details. Head North and a 45 min. drive takes you to Drumbeg, a fine run along the coast over mountain roads with some good stopping places to admire the views. There is some excellent Trout fishing on the Lochs at Drumbeg and a personal recommendation is the very experienced Ghillie at Drumbeg who will take you out boat fishing for Trout (rods can be supplied) on the Loch. His knowledge, patience and teaching style are first class and beginners to experts are catered for. The Drumbeg Hotel is a good stop aprés fishing, with a drink or a meal to finish the day off nicely. For local shore fishing, there are many marks along the coast - it is a case of trying what looks good. 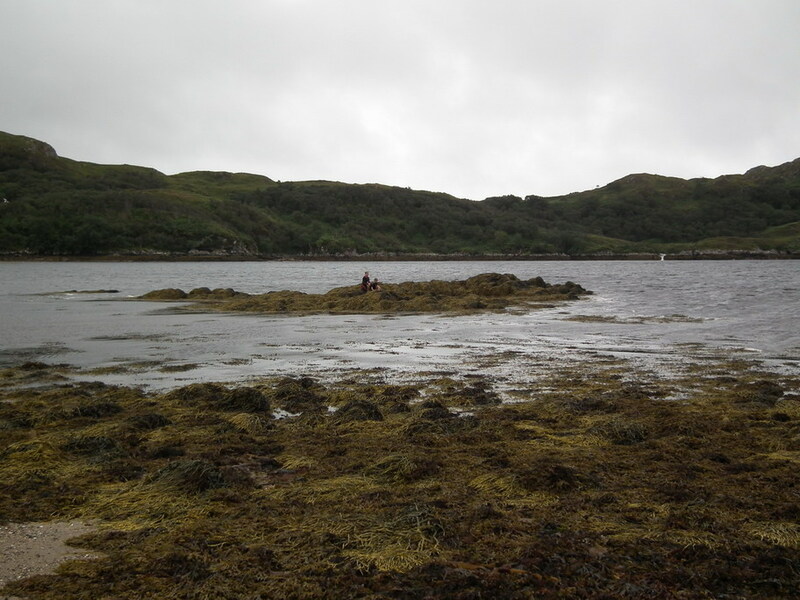 Sea fishing off Kirkaig Point can be good and salwater fly fishing can be excellent during the season; Pollack on a light fly rod can get the pulse racing when they try and get amongst the Kelp and a Mackerel will give you a real fight on light gear. Deerstalking is also available locally during the season via the Assynt Crofters Trust. Full details, including telephone numbers are in the booklet in the chalet. There are boats in Lochinver harbour that take out fishing parties and bait is available locally. Cod, Ling, Pollack, Mackerel, etc.,can all fish well at the right time of year and whilst never guaranteed, it should be a rare trip without a catch during the season. Contact numbers may be found in the folder in the chalet. 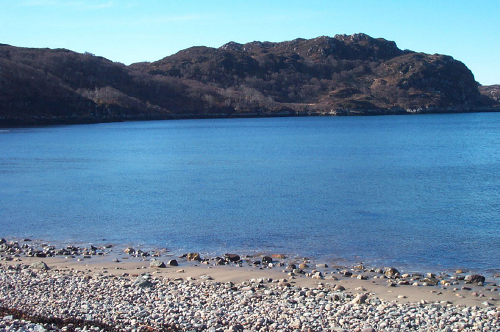 If you wish to go further afield, head out of Lochinver up to Kinlochbervie. About 1½ hours drive, you pass through some splendid scenery and small villages on the way and it is well worth stopping for a break to take it all in. Boat fishing is available out of Kinlochbervie however you may need to book in advance. Late July things generally start to happen and probably August / Sept are the best months for Mackerel, Ling, Cod, Pollack etc.